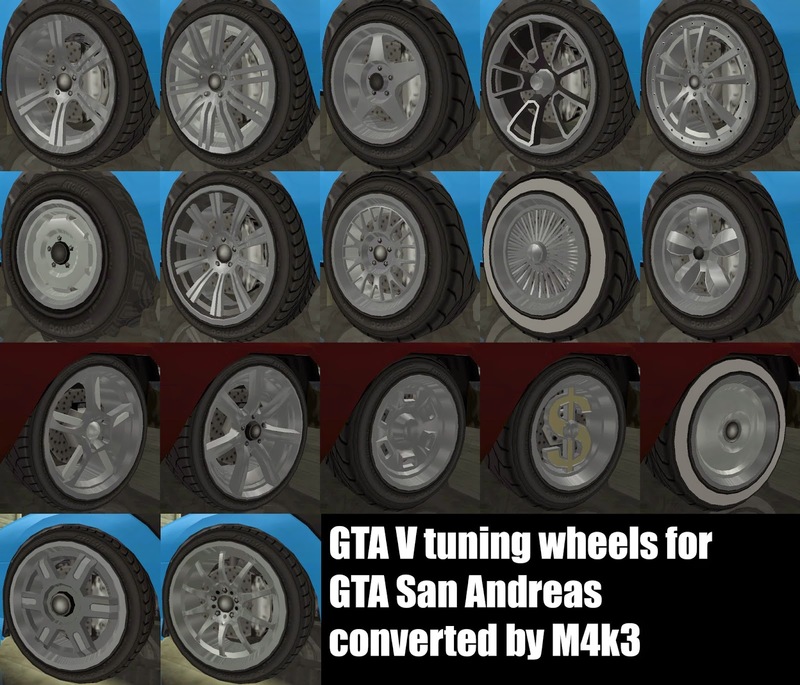 M4k3 mods: [REL] GTA V tuning wheels pack. [REL] GTA V tuning wheels pack. GTA V wheels for GTA SA. Each version has 17 tuning wheels from GTA V with dirt support (ImVehFt ; optional) and custom reflections. Uhm why did you post the link? just to show all the wheels. well, that is notso important, the important thing is can your wheels be resized to fit other cars like automans iv converted ones? How do you change the color of the wheels ?